Nowadays, it’s almost impossible to find hair that hasn’t been chemically treated in some way- perms, curls, straightening, colouring… the list is endless! Obviously these chemicals damage the strength and structure of your natural hair, but don’t worry; we’ve got a few easy tips that will keep your locks healthy and shiny! First and foremost, be VERY careful while selecting your shampoo and conditioner. Brittle hair requires a mild cleanser that is alcohol and sulphate free (paraben free for an added protection). Choose products that are specially designed for chemically treated/coloured hair, and focus on qualities like ~ moisturizing, nutrient rich and damage repair! Avoid washing your hair everyday as that strips it of its natural oils. Shampoo not more than once every alternate day or once in three days and lather up at the scalp, letting the product run through your strands when you wash it. Avoid shampooing the strands and let the lather from the scalp clean the ends of the hair so as not to protect them from getting more dry and rough! Using a deep conditioning mask for 5-10 minutes (or as per the instructions on the product) is also very fruitful. Oiling your hair with natural oils like almond, olive and coconut oil will keep it looking bouncy and bright. Moreover, nothing beats homemade hair masks made of curd, lemon, vinegar, etc. For a list of homemade hair masks check Here. Cover up in the sun! The sun’s rays aren’t just bad for your skin; they harm your chemically treated hair too. Use a sun protecting hair serum, a hat, or even a scarf when exposed to sunlight for long periods of time. Remember, sunlight makes colour fade out much faster than expected. Schedule regular haircuts, or at least trims, to get rid of the dull and dry ends that chemicals tend to cause when they strip away moisture. This will keep your hair looking salon ready 24×7! Avoid using hot water to wash the hair, always opt for lukewarm or better (COLD) water to rinse the hair. Schedule monthly hair spa to the salon or do it yourself at home, for the first few days of getting a chemical treatment on your hair, schedule weekly and fortnightly hair spa session to maintain the moisture balance in your hair and after a month, make it a ‘once-a-month’ session! SERUM! Make it a must in your hair care regime, use a serum which comes specifically for damaged and dull hair. Apply a dollop of serum on slightly damp hair and see the magic it does to your hair. Try out the L’Oreal absolute repair serum ~ perfect for chemically treated and damaged hair! Skip using towel to dry your hair (yes, you heard it right, use a satin cloth or an old tee) to dry out your hair. Towel dries out the hair and adds a friction in the hair making them frizzy and dull. Conditioner first and then Shampoo! Try doing this reverse technique which has created a buzz in the hair care community, this technique adds moisture to the hair (by using a conditioner first) & cleanses the hair without ripping hair of its natural moisture (by using a Conditioner followed by a Shampoo!). Lastly, try to space out chemical treatments as much as possible. 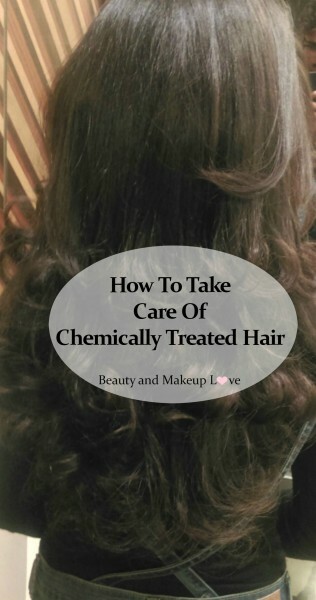 Excessive amounts of chemicals applied to the hair cause breakage, hair loss, dullness and split ends. Follow these tips to ensure luscious, silky tresses that will be the talk of the town. And don’t forget, your hair is beautiful even in its natural form! These are really helpful tips Aroo but i do need to apply shampoo to my strands else they feel so limp! Previous Previous post: BB Cream vs. CC Cream: What’s The Difference? Next Next post: My Current Skin Care Routine: The Secret to My (Clear) Skin!